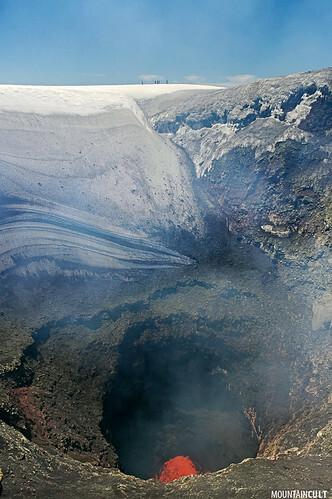 Image from the top of Villarrica volcano with its lava caldera. Volcanic activity is variable and actually it's quite difficult to see the magma from the lava lake in the volcano. It was after five intents that I could get this image from an internal burst. copyright ©2011 Jordi Solé Joval. All rights reserved.